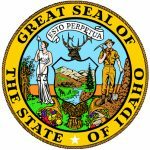 The Idaho Secured Promissory Note Template can be downloaded via the links provided on this page. The template is available in .PDF or Word format. Secured promissory notes are used to outline the specific terms of a loan (principal sum, interest rate, payment schedule/method, default information, etc.). In contrast to unsecured notes, secured promissory notes are “secured” by the collateral pledged by the borrower. The collateral is used in the event of a default (that goes uncured). Should the borrower default on the loan and not cure it within the minimum amount of time, the lender can take possession of the collateral. Step 1 – Download the template. Note: The .PDF template may be filled out electronically. Step 2 – Submit the date (dd/m/yy format). Installments – provide the installment amount in the corresponding input field. Select the repayment schedule (monthly or weekly). Enter the payment due date. Submit the due date (of the full balance – including any fees/interest). Submit the interest rate that will be applied to the note/loan should the borrower default on it. Provide the number of days the borrower will have to make a past-due payment before a late fee will be applied (to that payment). Submit the late fee in the allotted input field. Step 9 – Acceleration: Should the borrower default on the note, they must “cure” it within a certain period of time. Enter the number of days the borrower will have to cure the default. Submit a description of the pledged asset(s). 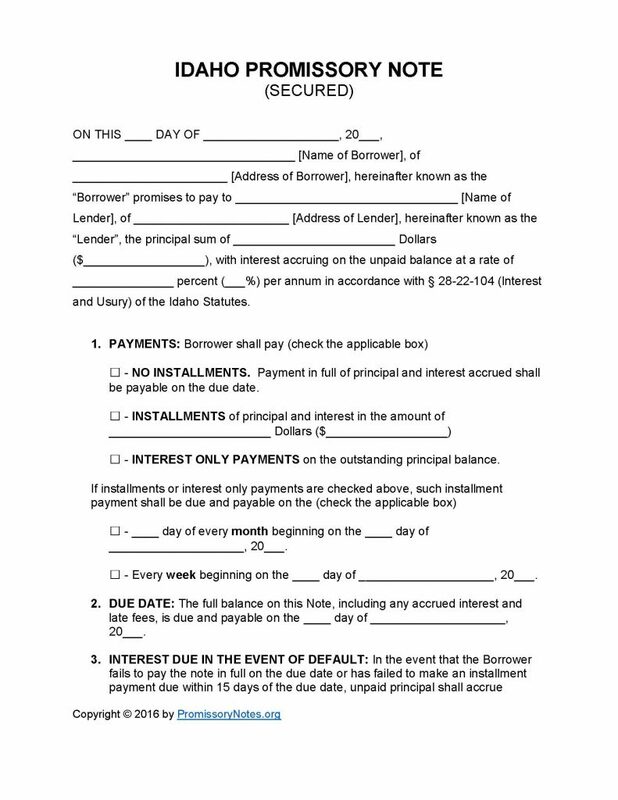 The lender/representative must print/sign their name. The witnesses must print/sign their names.